Do I need to take Field Day? Students 11-17 years of age are required to take a field day to complete their MN Hunter Education Certification. Students who are 18 years of age and older are not required to take a field day, but have the option if they want additional hands-on training. Field Day Info. Approved by the Minnesota Department of Natural Resources, as well as 30 other agencies. 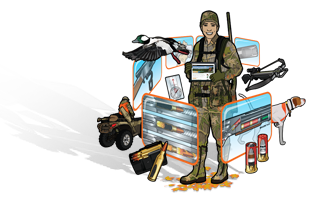 HUNTERcourse.com is trusted by wildlife agencies across North America to deliver the highest level of hunter education. Our courses consistently receive the highest level of approval from agencies and from hunters. Log in and out and study at your own pace, on your time, on your schedule. Once complete, you will be able to purchase your hunting licenses!